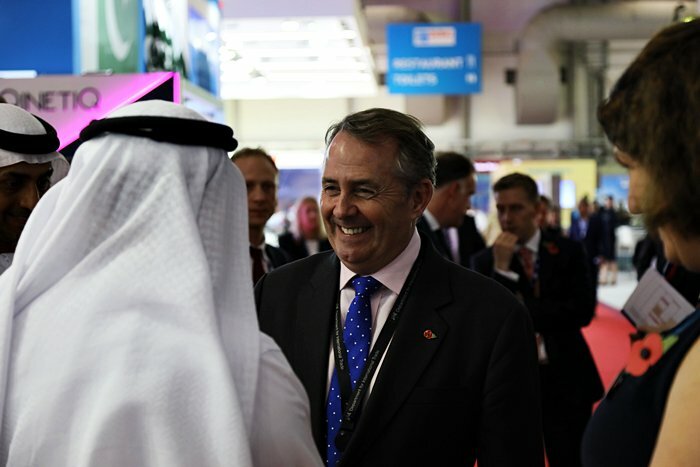 DUBAI, 10th February, 2019 (WAM) — Rt Hon Liam Fox, UK Secretary of State for International Trade, has said that the UK enjoys strong trading relations with GCC countries and is looking forward to have a free trade agreement with the bloc in the right time. "It is yet a new enforcement use of the Papal visit which I think has sent a very strong message about tolerance. And this Summit comes to send a very good message about governance and the importance of good governance," Rt Hon Liam Fox told the Emirates News Agency, WAM, on the sidelines of the 7th World Government Summit, which started earlier today in Dubai. Fox noted that UAE is a key partner for UK. "We need to have a deeper strategic relationship. It should not only be about selling and buying but about being partners. "We don’t see it as a transactional economic activity but rather as a partnership for the future. We don’t see the UAE as a single country but rather as a bridge to a wider market. "Chinese imports fell by 8 percent in the last quarter, which has had a big impact on the exports of other world countries like Germany for example. The trade tension between China and US has a big impact. We need to improve the trading environment Global economy is facing headwinds this year that it did not face last year. In a very inter-dependent economy, one shock in one part is going to affect other parts of the world."